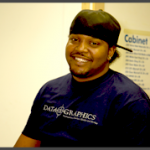 Industrial Printing Facility | Data Graphics Inc. Industrial Printing Facility | Data Graphics Inc.
Our clean, 25,000-square-foot facility allows us to complete 60% of our orders ahead of schedule. Find out why big-name brands like Disney, Samsung and Siemens trust our talented team and cutting-edge facility to produce their most important printing materials. See the processes that track each job. See the quality equipment we use. Meet our dedicated production team. 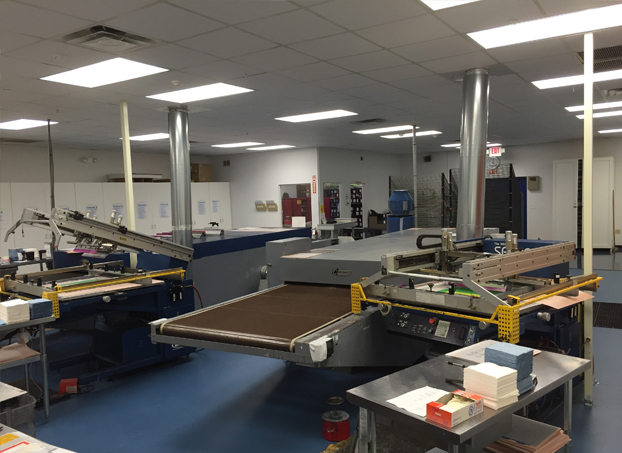 Our screen printing facility also offers digital printing, metalphoto printing and steel-rule die cutting. Our facility’s size and technology allow us to choose the fastest, most cost-effective printing technique for your order. Our 2013 upgrade even includes a new Hewlett Packard Indigo 5600 Digital Press, boosting our production potential. Unsure which production technique will give you the best results? Reach out to a Sales Engineer to discuss the best material for your needs. At our Data Graphics fabrication facility, your orders get produced on only the best equipment. No unproven products, techniques or materials. We’ll never make you beta testers for a new product. Our proven production process, materials and equipment give you peace of mind knowing how a product will hold up 10 years from now, not just 10 months. Our production never leaves you guessing. We’ll never risk your printing quality with unproven equipment. See the Incredible Results from Data Graphics Inc.
Unsure if our experts at Data Graphics can fill your order?Take a look at our portfolio of products to see the variety of orders we fill. See the quality and effort we put into every order we produce, including those for big-name brands likeToshiba, Siemens, Samsung and John Deere. When youcompare us to other printing companies, the differences are crystal clear. Find out why more than 80% of our clients return to us for future orders.